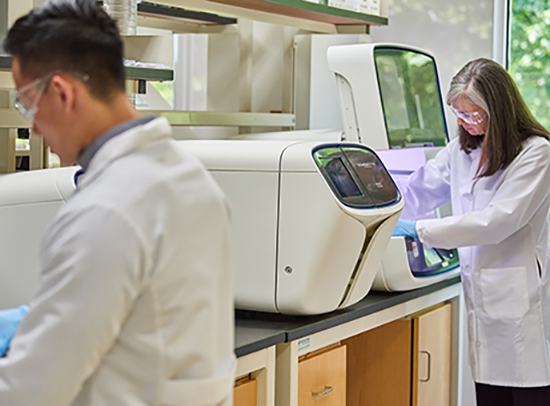 Thermo Fisher Scientific has opened a collaboration center in Cambridge, MA, focused on advancing the company’s precision medicine efforts with companies and medical centers by offering them access to advanced “omics” technologies and expertise to help them translate biomarker discoveries into new assays. Thermo Fisher says its U.S. Precision Medicine Science Center (PMSC) is designed to help those partners develop analytical workflows that generate precise molecular profiles of patients by linking partners with the company’s advanced technologies that include genomic, proteomic, and metabolomic analysis. In focusing on biomarker validation and development of companion diagnostics (CDx) tests, the center is expected to help Thermo Fisher expand the use of its Oncomine Dx Target Test beyond diagnosing cancer—including through CDx partnerships with oncology drug developers—into other indications, Thermo Fisher COO Mark Stevenson told Clinical OMICs. “In next-generation sequencing, we have really focused on oncology. In proteomics and metabolomics, we also see other therapeutic areas that are of tremendous interest, particularly why the proteome may be a target for a pharmaceutical company or a drug. We see that in neurology and cardiology,” Stevenson said in an interview at the 2018 Biotechnology Innovation Organization (BIO) International Convention, held June 3–6 at the Boston Convention and Exhibition Center.